Old Man Winter has packed his bags and headed North for a well-deserved vacation! Before we say goodbye to the chilly thrills of winter, let’s have one more month of frozen fun! Bring your frozen tissue to the McGowan Lab for 30% off frozen tissue sectioning and 30% off our beautiful Oil Red O staining! Oil Red O (Lipid Stain) is intended for use in the histological visualization of fat cells and neutral fat. The staining has to be performed on fresh samples, as alcohol fixation removes most lipids. The McGowan Histology Lab is equipped with state of the art processing, embedding, and staining automation, including instruments for paraffin and frozen sections alike. Contact Lori at the McGowan Core Histology Lab and ask about our staining specials by email or call 412-624-5265. As always, you will receive the highest quality histology in the lowest length of time. Fibrotic diseases are associated with 45% of deaths in the United States, but effective therapy does not exist, representing a significant unmet medical need. While the etiology of fibrosis is complex and multifactorial, some pathological features are common irrespective of cause. Drs. Brown and Yates have forged a collaborative pursuit to dissect the cell-cell communication between fibroblasts and macrophages that leads to the development of pathological fibrosis. The Brown lab focuses on a macrophage-centered approach, and the Yates lab focuses on a fibroblast-extracellular matrix driven approach to understand the underlying causes of fibrosis and healing. In a multi-disciplinary fashion, using their combined expertise, the Brown-Yates labs have begun to elucidate the precise functions of fibroblasts (master producers of ECM) and macrophages (master regulators of ECM production) in the bi-directional crosstalk that influences the pathogenesis of fibrosis. The aim is to determine if one cell type acts as a master coordinator and, ultimately, how this crosstalk can be leveraged to inhibit fibrotic diseases. These research efforts are led by post-doctoral fellow Zariel Johnson, PhD (Yates), and graduate student Samuel LoPresti (Brown). The team consulted extensively with Lynda Guzik, McGowan Institute Flow Cytometry Laboratory Manager, to design appropriate flow cytometry protocols and methods to address these complex questions. The primary research question required a thoughtful and comprehensive plan. Ms. Guzik committed herself from the start. She guided our research team at all stages of our experiments, from the design of our ex vivo experiments for evaluating cell-contact-independent crosstalk all the way to interpretation of the results. She took a particular interest in the design of marker panels, that were multicolored, to profile the heterocellular phenotypes and expression patterns. Naturally, this resulted in the requirement for sophisticated analyses, and Ms. Guzik methodically and meticulously guided the interpretation of the results. Being able to utilize Ms. Guzik’s expertise at the Flow Cytometry Laboratory is an incredible asset and one that certainly enhanced our research efforts. If you have a research project where flow cytometry may benefit your efforts, please feel free to contact Lynda Guzik for more information. 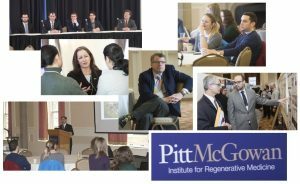 This year marks the 5th Annual McGowan Institute for Regenerative Medicine Summer School. This program is open to undergraduate students from all backgrounds, and serves as an in-depth introduction to regenerative medicine. Students attend lectures and have the opportunity to interact with more than 20 faculty, spanning highly diverse disciplines including basic science, engineering, medicine, clinical translation, and university start-ups and established biomedical industry. Students also participate in hands-on laboratory activities within the laboratories of the McGowan Institute, participate in networking opportunities, and visit multiple Pittsburgh sites. This year, there will also be 8-10 week paid internships available for interested students. Students will participate in the week-long Summer School program, and then continue to perform deeper research with a faculty member of the McGowan Institute. We hope that these opportunities will spur interest in the field of regenerative medicine and result in increased participation of students from diverse backgrounds. Interested students should visit http://www.mirm-pitt.net/professional-development/summer-school/. 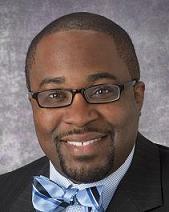 Faculty interested in hosting a student should contact Dr. Bryan Brown at brownb@upmc.edu. 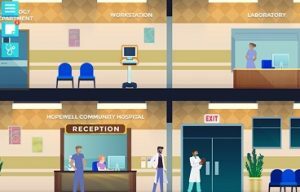 Playing an adventure video game featuring a fictitious, young emergency physician treating severe trauma patients was better than text-based learning at priming real doctors to quickly recognize the patients who needed higher levels of care, according to a new trial led by the University of Pittsburgh School of Medicine. McGowan Institute for Regenerative Medicine affiliated faculty member Derek Angus, MD, Chair of the Department of Critical Care Medicine of both the University of Pittsburgh School of Medicine and the UPMC Healthcare System and a Distinguished Professor and the Mitchell P. Fink Endowed Chair in Critical Care Medicine with secondary appointments in Medicine, Health Policy and Management, and Clinical and Translational Science, was a member of the study team. The results, published by The BMJ, held even though doctors assigned to the game enjoyed it less than those assigned to traditional, text-based education. This indicates that if game enjoyment can be improved, the already favorable results might be enhanced. Dr. Mohan created the game Night Shift with Schell Games, a Pittsburgh-based educational and entertainment game development company. The game is designed to tap into the part of the brain that uses pattern recognition and previous experience to make snap decisions using subconscious mental shortcuts – a process called heuristics. Physicians in non-trauma centers typically see only about one severe trauma per 1,000 patients. As a result, their heuristic abilities can become skewed toward obvious injuries such as gunshot wounds, and miss equally severe traumas such as internal injuries from falls. On average, 70 percent of severely injured patients who present to non-trauma centers are under-triaged and not transferred to trauma centers as recommended by clinical practice. Both the game and the text-based learning are intended to help physicians improve their decision making regarding severe traumas. The game, however, sought to do this through narrative engagement, or the use of stories to promote behavior change, which has shown promise in recalibrating heuristics. Dr. Mohan’s team recruited 368 emergency medicine physicians from across the country who did not work at hospitals with trauma specialization. Half were assigned to play the game and half were asked to spend at least an hour reading the educational materials. Participants then responded to questionnaires and completed a simulation that tested how often they “under-triaged,” or failed to send severe trauma patients to hospitals with the resources necessary to handle them. Physicians who played the game under-triaged 53 percent of the time, compared with 64 percent for those who read the educational materials. Six months later, Dr. Mohan reassessed the physicians and found that the effect of the game persisted, with those who played the game under-triaging 57 percent of the time, compared to 74 percent for those who had read the educational materials. “We definitely have more insight on evidence-based approaches to ankle cartilage injury treatment and it came together with a solid consensus on how these injuries can be treated, at least consistently within the evidence across the globe,” said McGowan Institute for Regenerative Medicine affiliated faculty member MaCalus Hogan, MD, chief of the division of foot and ankle surgery in the department of orthopedic surgery at University of Pittsburgh and local co-host of the meeting. The consensus process began 1 year prior to the meeting, which was held November 2017. Participants answered 137 questions related to 12 domains of ankle cartilage repair, including general principles and terminology, diagnosis, treatment methods, rehabilitation and follow-up. “This culminated in a 140-page document of which 90% was agreed upon prior to the Pittsburgh meeting,” John Kennedy, MD, FRCS, of Hospital for Special Surgery, co-founder of the International Society on Cartilage Repair of the Ankle (ISCRA), said. “The remaining 10% of agreement was reached by consensus” at the meeting, he said. 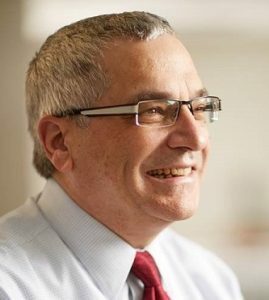 Along with publishing the consensus, Richard Ferkel, MD, co-founder of ISCRA, said organizers expect to publish separate articles in other arthroscopy and foot and ankle journals on each domain discussed, as well as summaries of the consensus, so more physicians have access to the information. DCs are specialized immune cells that can ingest foreign antigens, degrade them, and present the fragments on their surface to activate T cell-mediated immunity. 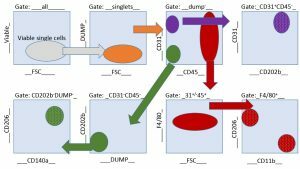 Antigens are exposed on the surface of DCs in a protein complex along with major histocompatibility complex (MHC) proteins that mediate the recognition and activation of the appropriate T cell subtype. Different classes of MHC molecules exist and are involved in immunity against pathogens and tumor cells as well as the formation of immune tolerance to self-antigens. In collaboration with the group of Dr. Kagan at Pitt, Dr. Gabrilovich and colleagues analyzed in great detail the events that take place in the DCs from tumor-bearing mice models and found that impaired cross-presentation, which occurred in the presence of tumor-derived factors, was associated with defective trafficking of the antigen-MHC complex to the cell surface. Importantly, they also observed that tumor-associated DCs accumulate chemically altered lipids that are the product of oxidative modification. Compared to unaltered lipids, these modified lipids had different ability to interact with target proteins, thus modifying their function. Wheelchair quality and safety are a growing problem, the researchers say, with about 50% of users saying they have experienced a breakdown in a six-month period, according to research they have already conducted. The “Rehabilitation Engineering Research Center” grant, awarded by the National Institute on Disability, a federal government agency within the U.S. Department of Education, will provide more than $900,000 each year for five years. Researchers plan to spend the first few years of the grant improving or adding to existing standards, particularly related to cushion load-bearing performance, cushion durability, caster durability, and wheel rolling resistance, and the remaining few years applying those standards to different products. The problem with existing standards, which have been developed over decades by national and international standards committees: they’re largely influenced by product manufacturers, the researchers say. Ultimately, the researchers envision their work being used in several ways, including helping funding sources make reimbursement decisions, and clinicians, providers, and users make product decisions. “It’s in this way that standards, which are often voluntary and which until now didn’t differentiate between products, will get teeth,” Dr. Brienza said. Automated detection and suppression of brain tsunamis is the topic of a 3-year study by Pulkit Grover, PhD, Marlene Behrmann, PhD, Michael Tarr, PhD, and Shawn Kelly, PhD, of Carnegie Mellon University, and Jonathan Elmer, MD, and Lori Shutter, MD, of Pitt. The team is looking to develop a concussion monitoring and treatment system. 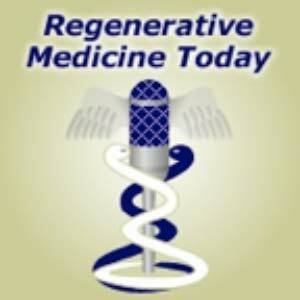 Dr. Kelly is a McGowan Institute for Regenerative Medicine affiliated faculty member. The foundation was started in 2016 by the Pittsburgh Steelers with an initial contribution of $1 million and the mission to support continued research and education on brain injuries and treatment of sports-related concussions. Mr. Noll coached the Steelers for 23 years and led the team to four Super Bowl victories. 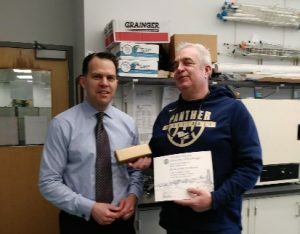 The military experience of McGowan Institute for Regenerative Medicine affiliated faculty member Bradley Nindl, PhD— as a researcher, active duty member, and new commander of a U.S. Army Reserve unit — has enhanced and broadened his work at the University of Pittsburgh. 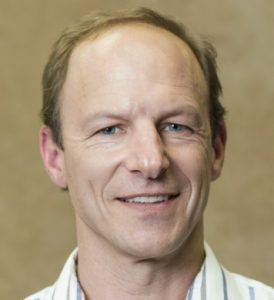 Dr. Nindl is the director of the Neuromuscular Research Laboratory, the applied research facility of the Department of Sports Medicine and Nutrition within the School of Health and Rehabilitation Sciences, which also includes the Warrior Human Performance Research Center. 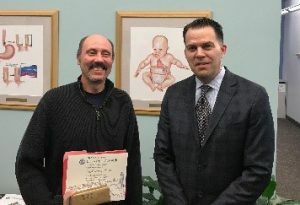 It’s a post he’s held since 2015 and a continuation of his 25-plus years’ work in the U.S. Army on human performance optimization and injury prevention. His current research at Pitt not only focuses on the cognitive and physical performance of members of the military, but also reaches into the impact of space travel on astronauts in a NASA-funded study. Additionally, in August 2017, he assumed command of the U.S. Army Reserve Southeast Medical Area Readiness Support Group in Nashville, Tennessee, traveling several times a year for his duties. The group has 2,000 soldiers and provides support, command, and control for 24 direct reporting units that include medical backfill battalions, medical support units, troop medical clinics, and veterinary and blood detachments throughout the southeastern U.S. Dr. Nindl’s knowledge of the military has benefited the Neuromuscular Research Laboratory, which partners with the U.S. Special Operations Command and Marine Corps to study military elite and their unique performance optimization and injury mitigation needs. Dr. Nindl has been collaborating with Shawn Flanagan, PhD, and Chris Connaboy, PhD, assistant professors in Pitt’s Department of Sports Medicine and Nutrition, to study cognitive resilience in military service members. They will be performing some testing at the U.S. Army Reserve unit in Moon Township, Pennsylvania. The research is testing novel and established measurements of neurocognitive and physical performance during military tasks including marksmanship, adaptive decision making, and spatial navigation. The trio is also assisting in the NASA-funded astronaut health study led by the University of Pennsylvania, which is examining space travel’s effects on the human body, including behavioral health and performance, cardiovascular alterations, and radiation effects. Dr. Nindl’s interest in how to maximize physical performance started early — on the court and on the field. A high school athlete and self-proclaimed “gym rat,” Dr. Nindl played basketball, baseball, and soccer. 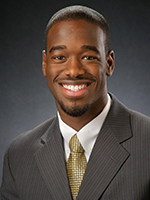 He also played basketball while studying biology at Clarkson University. 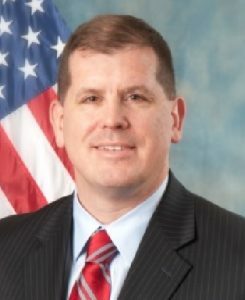 He went on to receive his Bachelor of Science degree in biology from Clarkson in 1989, a Master of Science in physiology of exercise from Springfield College in 1993, his PhD in physiology from Pennsylvania State University in 1999, and a Master of Strategic Studies from the U.S. Army War College in 2012. While studying for his master’s at Springfield, he attended a class trip to the Army Research Institute of Environmental Medicine, a laboratory of the U.S. Department of Defense based in Natick, Massachusetts, that studies physiology performance in soldiers. After being accepted in 1991, he served as a government scientist focusing on human performance optimization and injury prevention. He also studied biomarkers with a focus on adaptations of the neuromuscular and endocrine systems to exercise and military operational stress. However, being a researcher didn’t exempt Dr. Nindl from being deployed for active duty to Mosul, Iraq, in 2004-05. 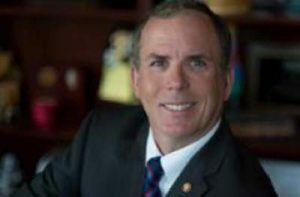 While there, Dr.Nindl was the executive officer for a Military Transition Team with the 98th Training Division, a group of about 15 soldiers embedded with an Iraqi army unit. He was awarded a Bronze Star and the Combat Action Badge. Dr. Nindl said he credits a supportive faculty and family for his ability to handle his research and his service to his country. 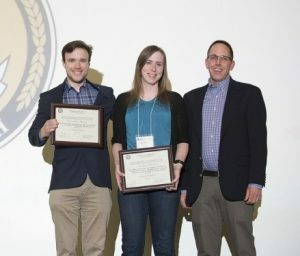 Christopher Mahoney, bioengineering PhD candidate, is one of the 2017 recipients of the TERMIS-AM Student Scientist award. 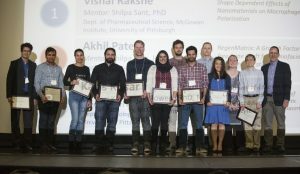 The TERMIS-AM Student Scientist Award is given to students who demonstrate passion and promise in their research, academics, and service. It provides financial assistance to undergraduate and graduate students who are presenting in the annual meeting. Mr. Mahoney works with Dr. Marra on biomaterials and drug delivery for adipose tissue reconstructive applications. 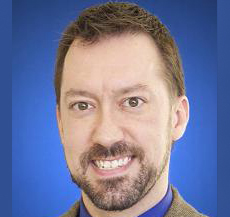 In 2014, Mr. Mahoney received the Wes Pickard Academic Fellowship, which is awarded to students chosen by their department chair who are in good academic standing. In fall 2014, he became a trainee under the University of Pittsburgh’s CATER NIH NRSA Institutional Predoctoral Training Grant (program director: McGowan Institute faculty member Paul Monga, MD), giving Mr. Mahoney the funding and support to develop as a student researcher. In March 2017, he was awarded the highly competitive NIH NRSA Individual Predoctoral Fellowship from the National Institute of Biomedical Imaging and Bioengineering to further his research and complete his doctoral degree. 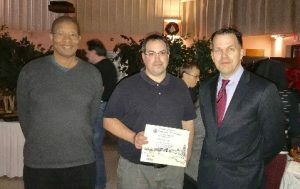 Mr. Mahoney participates in several other professional and community service activities. He serves on the University Senate Committee on Equality, Inclusion, and Diversity Advocacy and the Graduate and Professional Student Government Event Planning Committee. He is also former president of the Engineering Diversity Graduate Student Association and an active member of the Big Brothers and Big Sisters organization. 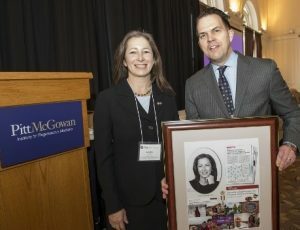 McGowan Institute for Regenerative Medicine affiliated faculty member Rory Cooper, PhD, has been inducted as a fellow for the American Association for the Advancement of Science (AAAS). AAAS is an international nonprofit organization with the stated goals of promoting cooperation among scientists, defending scientific freedom, encouraging scientific responsibility and supporting scientific education and outreach. It is also the publisher of the well-known scientific journal, Science. 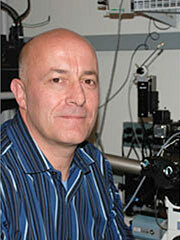 #181 –– Dr. Jeffrey Isenberg is an Associate Professor in the Department of Medicine at the University of Pittsburgh. Dr. Isenberg discusses his research on controlling blood flow and tissue survival, particularly the thrombospondin-1-CD47 signaling nexus. Summary: IMPORTANCE: Parkinson disease is a progressive neurologic disorder. Limited evidence suggests endurance exercise modifies disease severity, particularly high-intensity exercise. OBJECTIVES: To examine the feasibility and safety of high-intensity treadmill exercise in patients with de novo Parkinson disease who are not taking medication and whether the effect on motor symptoms warrants a phase 3 trial. DESIGN, SETTING, AND PARTICIPANTS: The Study in Parkinson Disease of Exercise (SPARX) was a phase 2, multicenter randomized clinical trial with 3 groups and masked assessors. Individuals from outpatient and community-based clinics were enrolled from May 1, 2012, through November 30, 2015, with the primary end point at 6 months. Individuals with idiopathic Parkinson disease (Hoehn and Yahr stages 1 or 2) aged 40 to 80 years within 5 years of diagnosis who were not exercising at moderate intensity greater than 3 times per week and not expected to need dopaminergic medication within 6 months participated in this study. A total of 384 volunteers were screened by telephone; 128 were randomly assigned to 1 of 3 groups (high-intensity exercise, moderate-intensity exercise, or control). INTERVENTIONS: High-intensity treadmill exercise (4 days per week, 80%-85% maximum heart rate [n = 43]), moderate-intensity treadmill exercise (4 days per week, 60%-65% maximum heart rate [n = 45]), or wait-list control (n = 40) for 6 months. MAIN OUTCOMES AND MEASURES: Feasibility measures were adherence to prescribed heart rate and exercise frequency of 3 days per week and safety. The clinical outcome was 6-month change in Unified Parkinson’s Disease Rating Scale motor score. RESULTS: A total of 128 patients were included in the study (mean [SD] age, 64  years; age range, 40-80 years; 73 [57.0%] male; and 108 [84.4%] non-Hispanic white). Exercise rates were 2.8 (95% CI, 2.4-3.2) days per week at 80.2% (95% CI, 78.8%-81.7%) maximum heart rate in the high-intensity group and 3.2 (95% CI, 2.8-3.6; P = .13) days per week at 65.9% (95% CI, 64.2%-67.7%) maximum heart rate in the moderate-intensity group (P < .001). The mean change in Unified Parkinson’s Disease Rating Scale motor score in the high-intensity group was 0.3 (95% CI, -1.7 to 2.3) compared with 3.2 (95% CI, 1.4 to 5.1) in the usual care group (P = .03). The high-intensity group, but not the moderate-intensity group, reached the predefined nonfutility threshold compared with the control group. Anticipated adverse musculoskeletal events were not severe. CONCLUSIONS AND RELEVANCE: High-intensity treadmill exercise may be feasible and prescribed safely for patients with Parkinson disease. An efficacy trial is warranted to determine whether high-intensity treadmill exercise produces meaningful clinical benefits in de novo Parkinson disease. Source: JAMA Neurol. 2018 Feb 1;75(2):219-226.